In a statement on Monday evening, the district said it remains optimistic that schools will start on time on Sept. 5. "The district and SEA continue to discuss important topics, including compensation ... " the statement said. 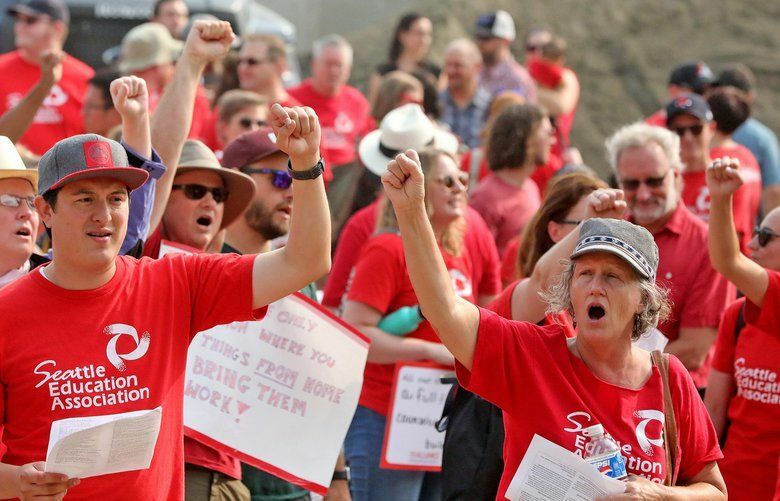 Teachers in Seattle will vote Tuesday on whether to authorize a strike after contract negotiations between their union and Seattle Public Schools failed to produce a deal over teacher pay. In social media posts over the weekend, the state’s largest school district and the Seattle Education Association, which represents teachers and other school staff, announced their negotiating teams couldn’t reach an agreement Saturday during their last scheduled meeting. The union’s bylaws require that members have at least 72 hours to review any tentative deal on a new contract before voting to approve it. But without a deal in place, the union instead will ask members to authorize a strike when it holds a general meeting Tuesday evening. How likely are Seattle teachers to walk out on the first day of school? Late Monday, a smaller group of union members who represent individual school buildings voted unanimously to recommend the general membership vote to authorize a strike, “if a tentative agreement is not reached by start of school,” the union announced on Twitter. In a statement sent to The Seattle Times on Monday evening, the district said it had been informed of the vote and remains optimistic that schools will start on time. “The district and SEA continue to discuss important topics, including compensation … ” the statement said. The union, meanwhile, said that its main bargaining team would be back at the table Wednesday. Teachers in Seattle last staged a walkout in 2015, when the union and district couldn’t reach an agreement on salary increases. This year, the two sides appear deadlocked in a dispute over how much money the new state budget provided to pay for teacher raises and whether funding will remain sustainable to afford them over the next few years. 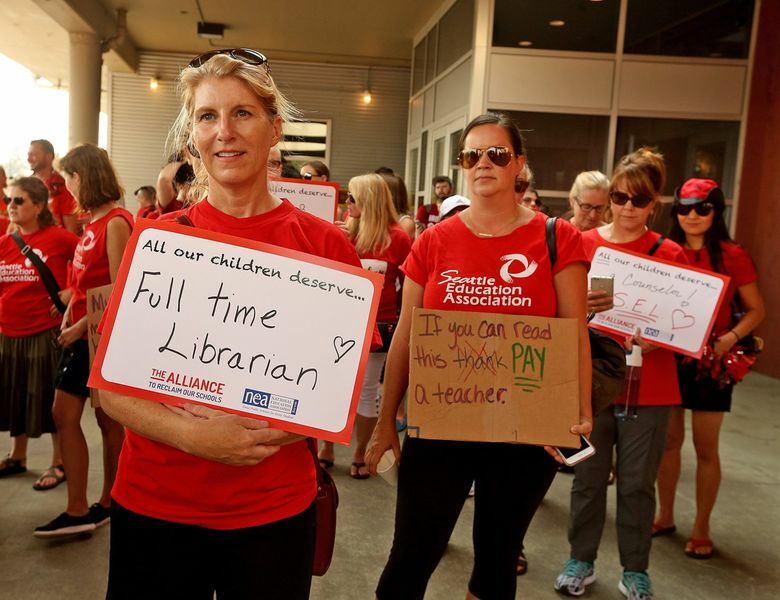 The summer has been a hectic one for negotiations in almost every Washington school district, after lawmakers added nearly $1 billion to the state budget to end districts’ historical reliance on local property-tax collections to offer competitive wages for educators. That infusion of cash persuaded the Washington Supreme Court to end a decadelong school-funding case known as McCleary. The Seattle district’s current contract with teachers — which includes a no-strike clause — expires Friday.